Australian Marine Stinger Advisory Services was launched in 2007, to pro-actively serve the marine stinger management needs of the tourism industry, local governments, other stakeholders, and the public in general. Our aim is to provide an accurate and balanced approach to marine stinger management, from prediction to prevention to treatment. By demystifying stingers, we can learn how to have a fun time at the beach without getting stung. Click here for more info on stingers. Besides stinging problems, jellyfish are becoming increasingly pestilent for fisheries, industry, infrastructure, and our marine ecosystems globally. Click here for more info on jellyfish blooms. Dr. Lisa-ann Gershwin, our Director, has over 18 years experience in jellyfish research, with focus on Australian jellyfishes since 1998. Her PhD is in Identification and Classification of box jellyfish and Irukandjis. 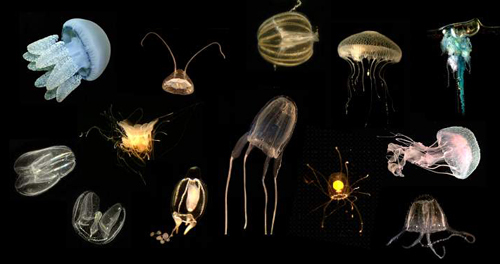 She has published over 40 technical scientific papers on jellyfish and sting research. In addition, we work closely with many experts around the world, in order to provide our clients with the best possible information and services that they need. Click here for more info on Dr Gershwin's qualifications.